Porcelain veneers are a great way to enhance an unattractive smile. But are they appropriate for teenagers? The answer usually depends on a patient’s current development stage and the type of veneer used. 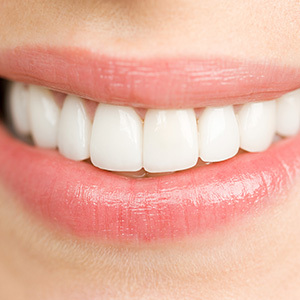 Veneers are thin layers of porcelain bonded to the front of teeth. But even though quite thin, they can appear bulky if we don’t first remove some of the tooth’s enamel surface. This is irreversible, so the tooth may require a restoration from then on. This could be a major issue for teens whose permanent teeth are still developing. During this period the tooth’s central pulp is relatively large and the dentin layer not fully developed. As a result, the pulp’s nerves are often closer to the surface than in an adult tooth. This increases risk of nerve damage during veneer preparation; if nerve damage occurs, the tooth could ultimately require a root canal treatment to save it. On the other hand, some types of veneers don’t require tooth alteration (or only very little) beforehand. These “no-prep” or “minimal prep” veneers are best for certain situations like abnormally small teeth, so we must first determine if using such a veneer would be appropriate for your teen. In effect, we’ll need to weigh these and other factors before determining if veneers are a safe choice for your teen. That being the case, it may be more advisable to consider more conservative cosmetic techniques first. For example, if enamel staining is the main issue, you could consider teeth whitening. Although the often amazing results eventually fade, whitening could still buy some time until the teeth have matured to safely apply veneers. Slight deformities like chipping can often be corrected by bonding tooth-colored composite material to the tooth. In artistic hands it’s even possible to create a full veneer effect with very little if any tooth preparation. How much we can apply, though, depends on tooth size, and it won’t be as durable as a porcelain veneer. With that said, veneers could be the right solution to enhance your teen’s smile. But, we’ll need to carefully consider their dental situation to ensure their new smile remains a healthy one. If you would like more information on cosmetic solutions for smile appearance problems, please contact us or schedule an appointment for a consultation.